BLOWOUT SALE! Ideal planters for indoor and outdoor use! 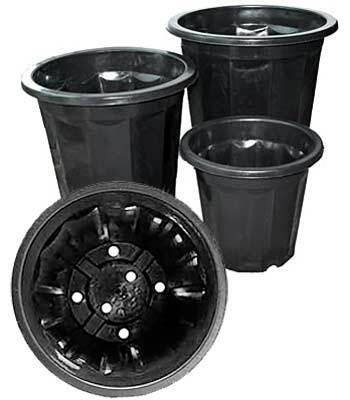 These extra-sturdy Black Plastic Plant Pots are similar to the ones seen at nurseries all across the country, but rarely available for purchase. Features a formed rim for easy transport and a unique multi-level bottom for superior drainage. 3 Quart – 5-1/4″ x 8-1/4″ x 7″ tall SOLD OUT! 7 Quart – 7″ x 10-1/2″ x 9-3/4″ tall SOLD OUT! 10 Quart – 8-1/2″ x 12-1/2″ x 11-1/2″ tall SOLD OUT! 16 Quart – 8-3/4″ x 12-1/2″ x 12-3/4″ tall SOLD OUT! Stocky design promotes a compact root ball for easy cultivation and transplanting. Purchase by the case and save! Please call 1-800-289-6656 for pricing. 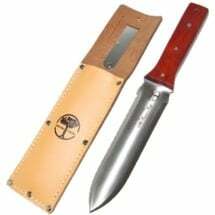 It’s more than a blade — use it as a planter, digger, trimmer, cutter and more. 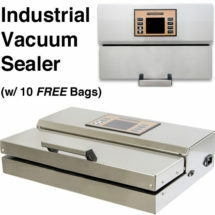 Keep your dried herbs and perishable foods fresh and safe with a vacuum sealer. 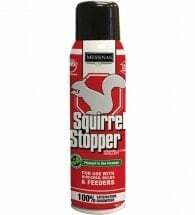 Ready to use spray keeps squirrels and chipmunks away from bulbs and feeders. 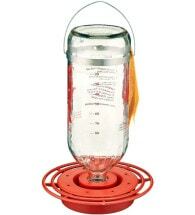 The bee- and wasp-proof design means you won’t be attracting unwanted pests!